THE consensus at the national, or shall we say political, level to build the Kalabagh dam for water and power does not exist. Perhaps some areas of Pakistan will benefit from the dam while some others will not, but the question is whether Pakistan as a whole would earn any net benefits from its construction. Those in favour of the dam almost religiously believe that without it we are doomed to a dry future. Why do they think so? Perhaps because a number of reports by foreign ‘experts’ say so. Who are these ‘experts’? Where do they come from? Why do they care? We shall revisit these questions, but first a couple of others. Do we produce enough electric power in Pakistan? No. Do we have enough water storage capacity? Well, it depends on 1) how we define ‘enough’; and 2) ‘where’ we want to store. 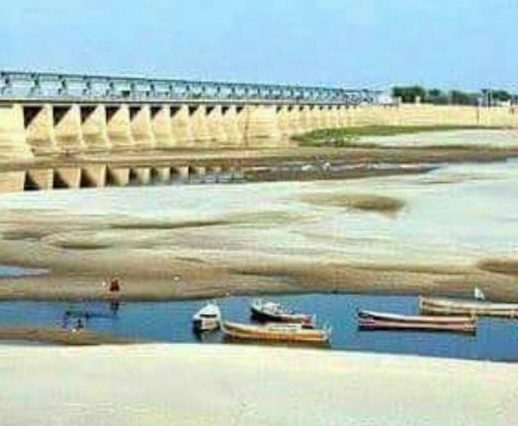 Of all the available water in the Indus basin of Pakistan, approximately 95 per cent is directed to agriculture of which over 70 per cent goes waste; less than 30 per cent of it is the actual requirement for the crops we grow. The fact is, besides wasting water, we also spend billions in managing wastage of water in the name of SCARP (Salinity Control and Reclamation Project). Rather than planning for more water — at the rate of 70 per cent wastage — we need to invest in increasing irrigation efficiency. Despite all this, why are there ‘experts’ who insist that we build the dam — a solution which we, as a poor country, neither have the financial muscle to embark on nor the technical expertise to undertake. Consequently, this ‘solution’ makes us dependent on foreign ‘help’, financially and technically. And we have to pay for this ‘help’ with interest. When a mega project (like a large dam) is undertaken in a poor country with the ‘help’ of some global financiers, the latter are actually ‘investing’ in the poor country on behalf of a few (rich) ‘donors’. It’s my land, my river and my people — why should an outsider built a facility on it at my cost, earn huge profits out of the facility by ripping the pockets of my people, and then leave a worn-out facility, along with a degraded environment? The writer holds a PhD in hydrology and water resources from Michigan State University. If an outsider makes money by suggesting dams’ construction, what Dr Hassan Abbas is saying: he is also suggesting in his own way to refill aquifers! How Lahore’s aquifer could be refilled when the water of the Ravi has stopped flowing?